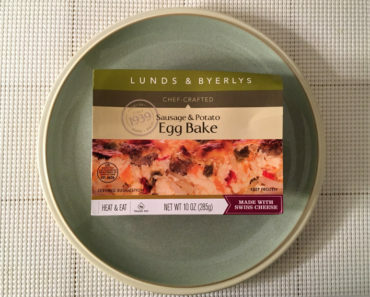 Minnesotans who live in the Minneapolis area should be familiar with the Lunds & Byerlys chain of grocery stores. This is a local staple for upscale grocery shopping. 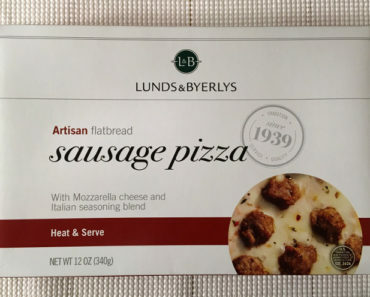 Of course, L&B also has a full line of frozen food, which isn’t available outside of Minnesota. 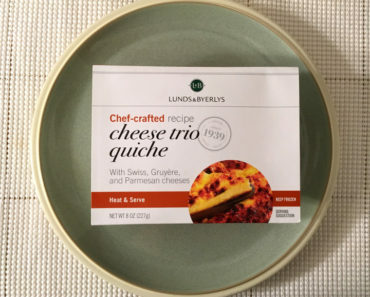 While that’s a shame for non-Minnesotans, it does mean that Freezer Meal Frenzy, which is located in Minnesota, has easy access to their foods. 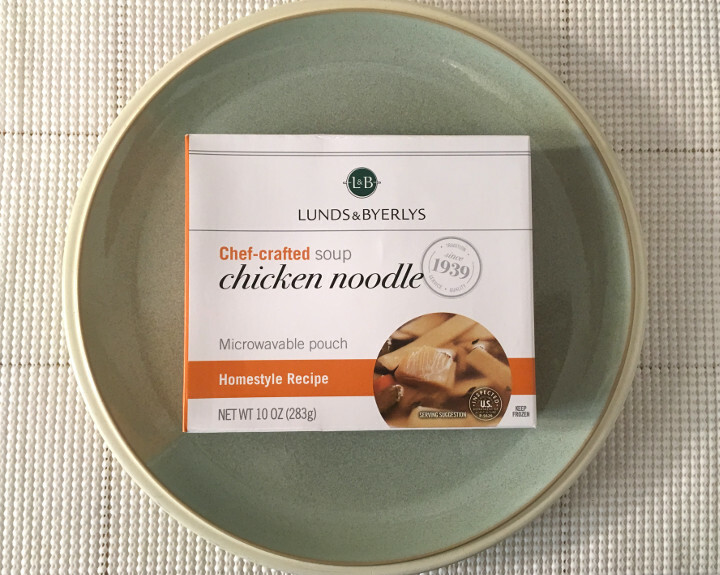 Today we’re going to try out one of their soups — the Lunds & Byerlys Chicken Noodle Soup. Now, Freezer Meal Frenzy staffers are no strangers to L&B soups — we’ve reviewed a few of them in the past, including the Minnesota Wild Rice with Chicken and the Beer Cheese. So we’re experts at cooking these things by now, and we can say with certainty that they’re a snap. Simply boil up a pot of water and stick the plastic bag of soup into the pot for ten to fifteen minutes. 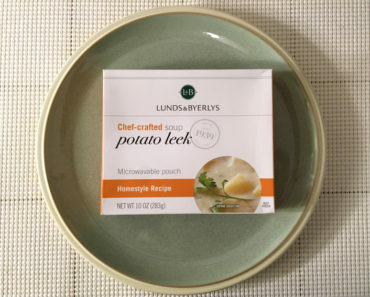 You can also cook this in the microwave, but the stovetop instructions tend to be a bit less messy — they also get the soup heated evenly. Now, make sure you let it cool for a bit. Even though this soup smells delicious when it’s hot and steamy (just look at all that steam in the picture above), you’ll need to wait a little bit before it’s cool enough to eat. The broth is loaded with flavor. It has an oniony, chicken-y flavor that’s a bit salty. This is no wimpy, watery-tasting broth; it’s delicious. 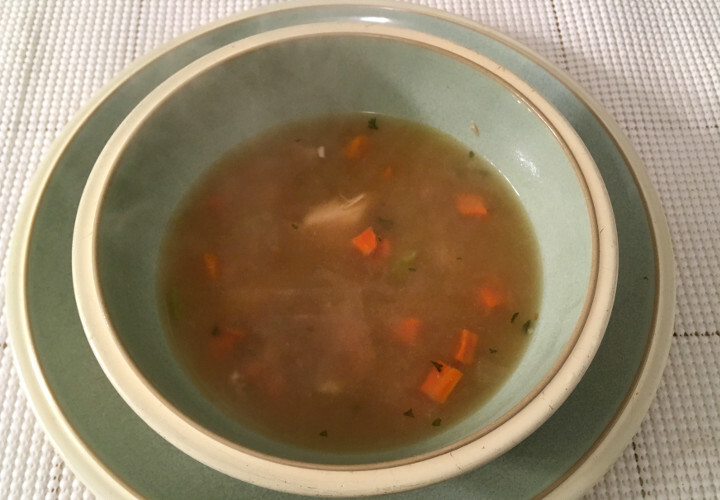 There are both white-meat chicken chunks and dark-meat chicken chunks in this soup, though this blend heavily favors the white meat. As you can see in the image below, some of these chunks are pretty decently sized. 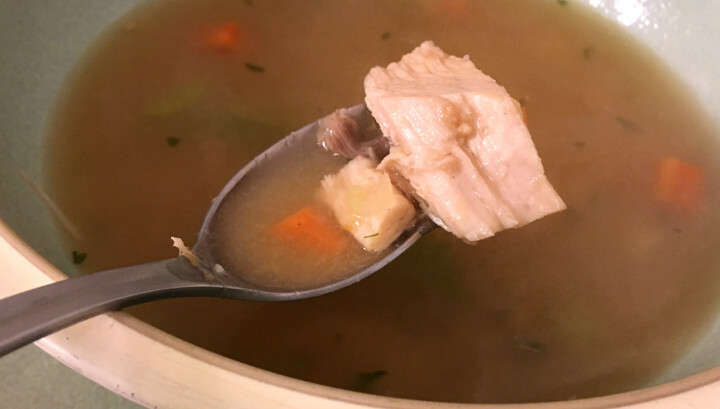 This chicken tastes surprisingly fresh too; it’s hard to believe this came out of a frozen soup! There’s a blend of veggies here — celery, onions, and carrots. The onions were there more to season up the broth than to do anything else, and there was really just one giant chunk of celery in our dish, so the carrots end up being the star of this show. Don’t expect soggy carrots; these actually have a bit of crisp left in them, even after they’ve been swimming in warm soup broth for several minutes. The one thing this dish is short on is noodles. We almost forgot that this was supposed to be a chicken noodle soup until we stumbled upon a couple of them at the bottom of the bowl. 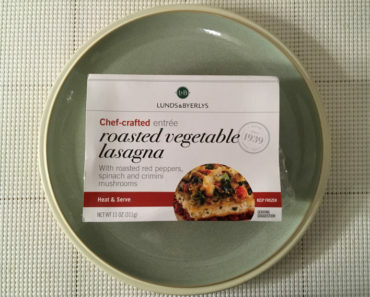 One package of this stuff contains 130 calories and 830 mg of sodium. While that tiny amount of calories is quite attractive, the sodium level is a bit high. Plus, this is a pretty small serving of soup, and it certainly won’t fill you up if you have a ravenous hunger. 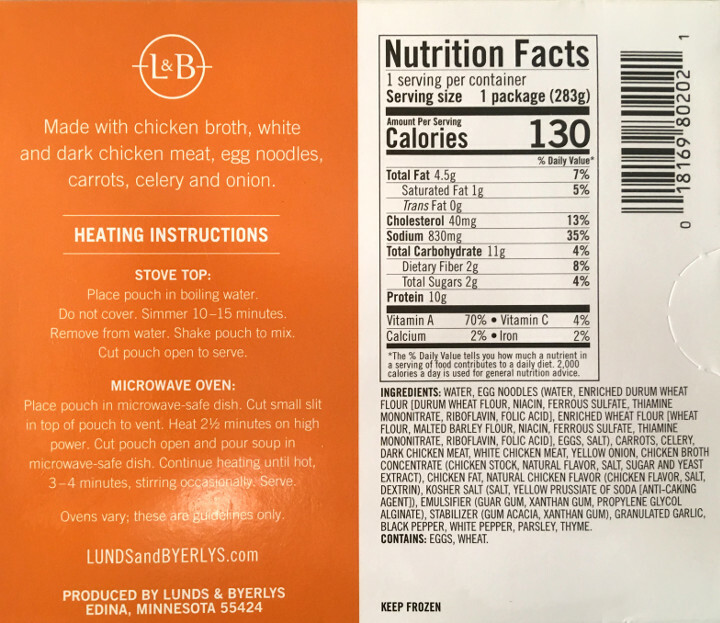 To learn more about the cooking instructions, nutritional content, or ingredients for this L&B frozen soup, check out our package scan below.